As we age, losing our memory becomes more and more of a concern for each and every one of us. Part of what makes the disease so scary is not just that it strips away your life memory by memory. But that, by the time it’s diagnosed, most of the neurological damage is done. And, to top it off, the medical community has found no cure and no drugs that can prevent or reverse the symptoms of the devastating disease. They’ve not even really understood what sets off the disease in the first place… Until now. Is your brain too acidic? A study by scientists at the Johns Hopkins University School of Medicine is changing all that with a new discovery. It all started nearly 20 years ago when research revealed that that endosomes, little circular compartments that ferry cargo back and forth within cells, are larger and far more abundant in the brain cells of people destined to develop Alzheimer’s disease. This small clue made the scientist wonder whether an underlying problem with endosomes could lead to an accumulation of amyloid protein in spaces around neurons. You see, in order to shuttle their cargo from place to place, those endosomes have to have chaperones. In this case, proteins that bind to the cargo and bring them to and from the cell’s surface. The only way for the binding to occur is when the pH level inside the endosome is optimal. If it’s too acidic, the cargo is trapped within the endosome deep inside the cell and amyloid proteins pile up around the nerve cells in the brain — leading to those amyloid plaques and nerve cell degeneration (the hallmarks of Alzheimer’s). The endosomes in Alzheimer’s patients are far more acidic (with an average pH level of 5.37) than those of their healthy counterparts. So, what can you do about it? If the pH level of your body is acidic, are you simply doomed to develop Alzheimer’s, lose your memory and forgo your independence? Luckily, the answer is no, and there are a number of ways you can shift your body’s pH level to a more alkaline state. First, it’s important to note that the optimal pH level for your body is approximately 7.4. You can purchase pH testing kits that will measure the acid/alkalinity of your urine or saliva to see where you stand. Just remember that if you test your urine, it should be on your second bathroom trip of the morning. Next, if you find you are too acidic, you will need to shift your body to a more alkaline state through the food you eat and the water you drink. Many stores sell alkaline water or you can buy a water alkalizer for your home. Another trick to alkalizing your body is to add a little baking soda to the water you drink. In fact, scientific studies have shown that water with baking soda has the power to shift cells from an acidic to an alkaline state. 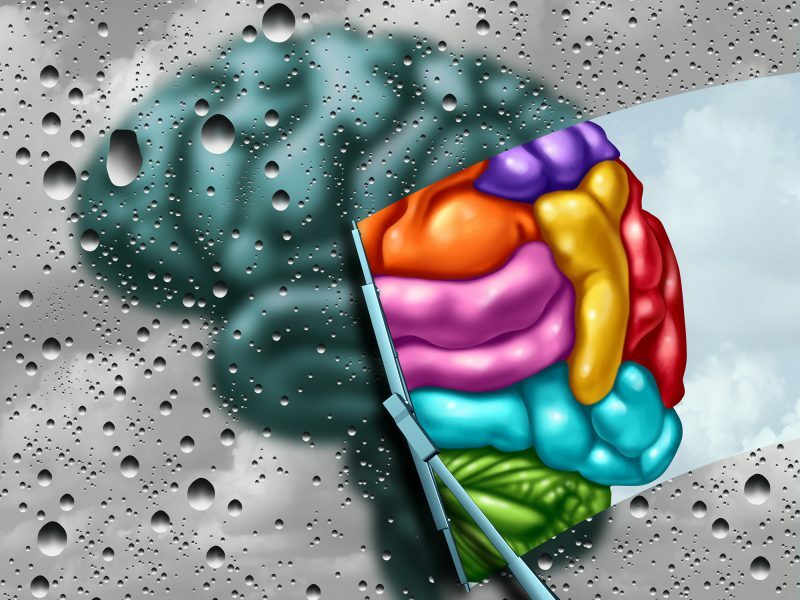 In addition to moving your body from an acidic to alkaline state to preserve your brain health and memories, there are four more ways to optimize your brain function to stave off Alzheimer’s. Feed your brain – According to 64 blue ribbon studies, phospatidylserine (PS) is one of the single best nutrients for rejuvenating your mind and memory. This nutrient is the key building block for billions of cells in your brain. It acts like brain food. Take 100 mg of PS up to three times per day. My phosphatidylserine supplement of choice is Peak PS™. Exercise regularly – Regular physical activity keeps blood and oxygen flowing to your brain to improve and maintain its function. Shoot for 30 minutes of moderate activity five days per week. Avoid sugar – High blood sugar (even if you’re not diabetic) can increase your risk of Alzheimer’s so cut out sugary drinks, deserts and cereals to decrease your intake. Get plenty of sleep – Too little sleep is linked with memory problems and dementia. Aim for a solid eight hours each night. Alzheimer’s is a devastating disease but it’s not unavoidable. The key to preserving a lifetime of memories could be a simple as alkalizing your body’s pH level and following the other brain healthy tips above.